Get an overall picture of the numerous activities and offers in the area – free of charge – with Discover Denmark. 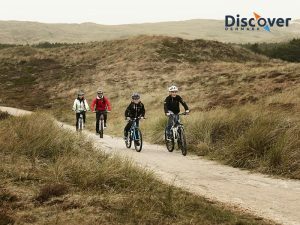 With the experience portal Discover Denmark you will have a total view of the various activities and offers near you when you are on a vacation in Denmark. The portal is free to use and it provides information of more than 1.000 activities and offers. The activities are categorized so that you can easily find the best experiences for both young and old. If the weather is great, Discover Denmark will guide you to wonderful experiences in the nature of Western Jutland, and when the weather disappoints you can easily find a large selection of indoor activities for the entire family. And you do not have to spend all of your saving on a vacation in Denmark, because with Discover Denmark you will find the many activities that can be experienced completely free of charge.